I really like figs but trying to find them in a store around these parts, sometimes seems like next to impossible. 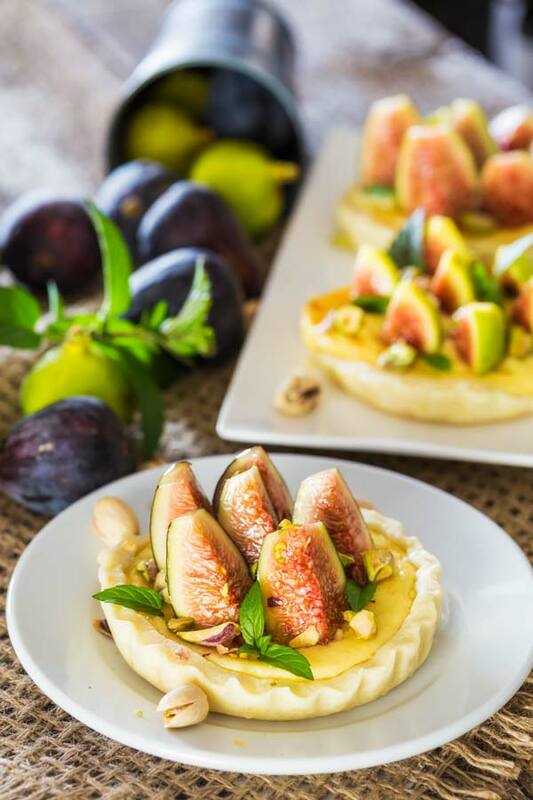 Still, if you can get your hands onto a batch of fresh figs, either yellow or red/purple kind, then you are in luck because I have the perfect “fall” recipe right here. 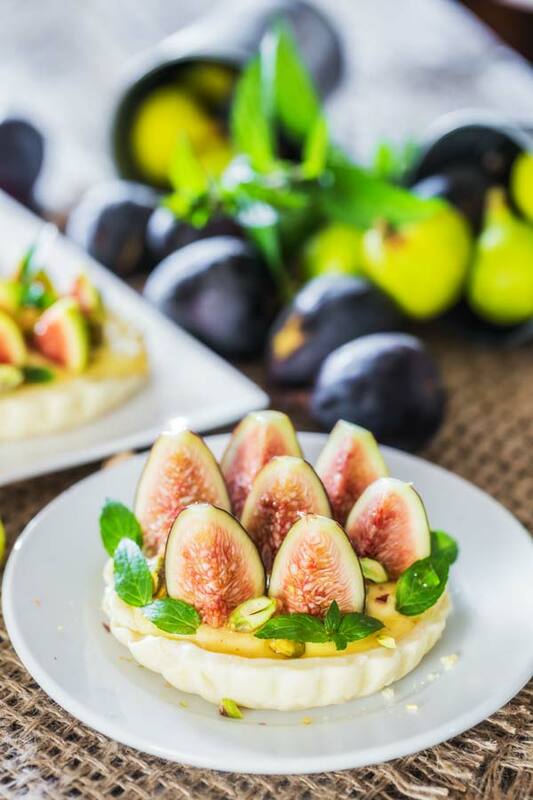 Honestly, my initial thought was to make a figs pizza but I thought a dessert is not always a bad thing however, if you are a pizza fan you can use this idea and combine fresh figs and maybe goat cheese on a flatbread and share that recipe with the rest of us. 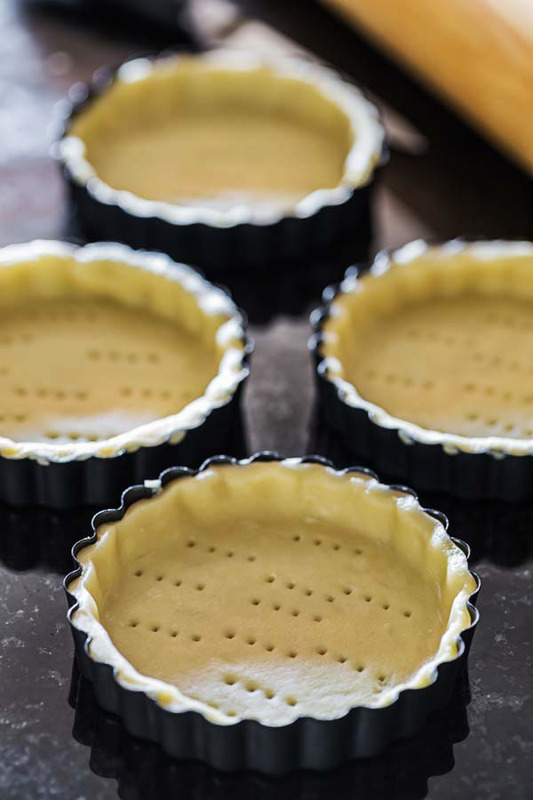 But let’s get going with our first step, making the dough and place it inside mini tart pans that make for the perfect one person serving size. Well the process is a bit more complicated but you can read all about it when you print out the recipe instructions. Adding the tart filling is another very easy step that will take you even closer to that final delicious result that you saw when you first opened my recipe. In a large bowl add the flour and cold butter. Cut in the butter using a pastry blender until it resembles cornmeal. Add the water gradually and form a ball. Alternatively you can place the flour, butter and salt in a food processor and pulse, adding cold water gradually a tbsp at a time, until the dough starts to stick together. Remove the dough from the food processor and form into a ball. Cover with plastic wrap and refrigerate for at least an hour. To make the filling, add all the ingredients to a mixer and whisk for about a minute until all the ingredients are well blended. Refrigerate until use. Cut the dough into 8 pieces. Roll out each pieces so that it's about 6 inches in diameter. Place the round rolled dough into a mini tart pan and push the dough down and going up the sides. Repeat with remaining mini tart pans and dough. Using a fork make indentations into each tart shell. Place the tarts on a baking sheet and bake for 10 minutes. 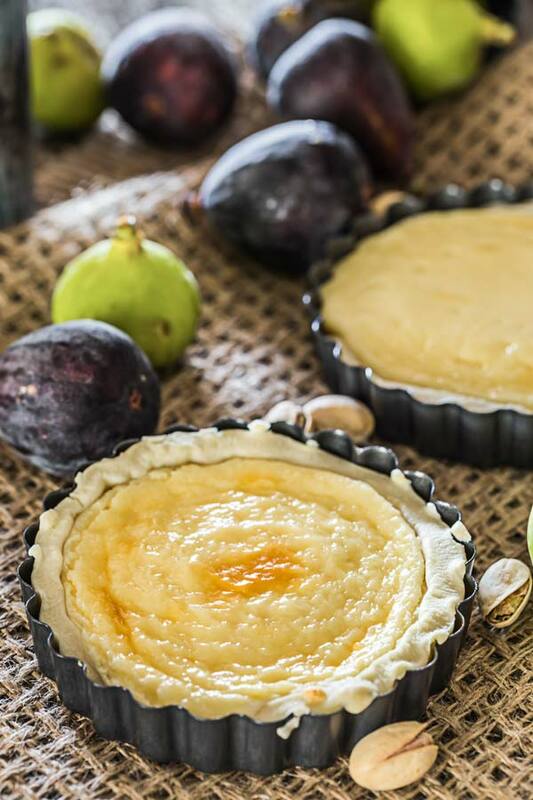 Remove tarts from oven and fill with about 2 tablespoons of the filling into each tart shell. Do not overfill. Bake tarts for another 15 minutes. Let the tarts cool completely before proceeding. Cut the figs into quarters, lengthwise. Top each tart shells with a few fig quarters, then sprinkle with some chopped pecans. Lastly drizzle with some honey.